Americans love fast food, but the materials used to serve short-order fare may contain harmful synthetic chemicals, a new study has found. Previous research has shown these chemicals can leach into food. Paper products used to serve fried chicken, French fries, burritos, donuts, and other fast food contain chemicals that resist heat and grease and have been linked to diverse health risks, according to a study published in Environmental Science & Technology Letters. The study did not determine whether the chemicals leached into food samples, but other studies have shown the chemicals are especially likely to get into food if it’s hot and greasy. These synthetic chemicals resist oil, water, heat, and stains, thanks to super-strong fluorine-carbon bonds. That’s made them valuable ingredients in a diverse array of products, including outdoor gear, carpets, furniture, firefighting foams, cosmetics, dental floss, microwave popcorn bags, and non-stick cookware. And the hardy bonds don’t break down easily in the environment, either. Scientists have found these chemicals, called per- and polyfluoroalkyl substances (PFASs), most everywhere they’ve looked, including in the tissue of animals like polar bears that are far removed from places the chemicals are produced or used. National studies have detected them in nearly every American tested. The most compelling evidence that these chemicals pose risks to human health comes from studies of people who drank water contaminated with them, says Laurel Schaider, a research scientist and environmental chemist at the Silent Spring Institute, who led the study of fast food. For decades, some 75,000 people living near DuPont’s Washington Works plant in West Virginia were exposed to perfluorooctanoic acid (PFOA, or C8), the chemical used to make Teflon, in their drinking water. As part of a class-action settlement, an independent scientific review panel concluded that six conditions were probably linked to PFOA exposure: high cholesterol, kidney cancer, testicular cancer, thyroid disease, pregnancy-induced hypertension, and ulcerative colitis, a bowel disease. But drinking water is just one way people can be exposed, so Schaider decided to cast a wider net. She and a team of scientists collected over 400 samples of food- and beverage-serving materials from 27 fast-food chains around the country. With the help of a University of Notre Dame physics professor named Graham Peaslee, they were able to quickly detect total fluorine levels in their samples with a fluorine-detection method normally used by geologists. Overall, a third of fast-food packaging samples contained fluorinated chemicals. Paper cups and materials that didn’t come into direct contact with food had no chemicals. Almost half of all the paper food wrappers tested did, including 57 percent of Tex-Mex packaging, 56 percent of dessert and bread pouches, 38 percent of sandwich and burger bags, and one in five boxes for French fries and other especially greasy foods. Eight in 10 Americans say they eat at fast-food restaurants at least monthly, according to a 2013 Gallup Poll, and nearly half report eating fast food at least once a week. Kids’ exposure to PFASs from fast-food packaging is especially worrisome since their bodies are still developing, making them more susceptible to toxic chemicals. That’s not all: these chemicals can also interfere with vaccinations, by preventing children from mounting the normal immune response to the shot, says Philippe Grandjean, a professor of environmental health at Harvard’s T.H. Chan School of Public Health and the University of Southern Denmark, who was not involved in the study. The screening method picks up high levels of the chemicals, so the results likely underestimate their presence in food packaging, says Grandjean. When the team used methods that identified specific compounds, Schaider was surprised to find that some contained PFOA, a type of fluorinated chemical that U.S. manufacturers had agreed to phase out of food packaging by 2011 and altogether in 2015. The containers may have come from old inventory or from China, where production has continued unabated. The 27 fast-food chains sampled in the study include popular chains like Taco Bell, Dunkin’ Donuts, Starbucks, and McDonalds, but the study wasn’t designed to compare chains, Schaider says. 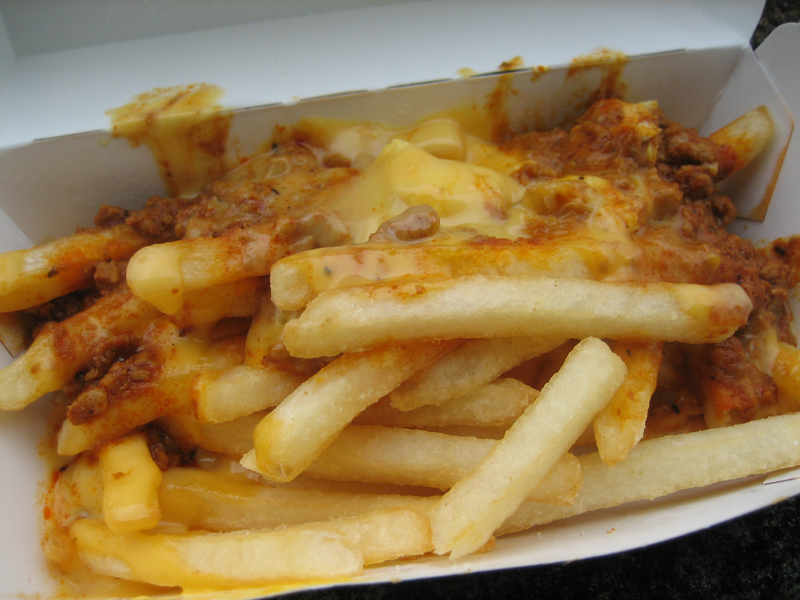 Even samples taken from a handful of independent fast-food restaurants had the chemicals. Fast food isn’t the only source for these chemicals. In a previous study, Notre Dame’s Peaslee analyzed microwave popcorn bags sold in Washington state and found PFASs in all 15 brands tested. Since PFASs are likely to linger in butter and steam, consumers should cook popcorn the old-fashioned way: on the stove or in a hot-air popper, Peaslee says. The U.S. Food and Drug Administration no longer allows PFOA and PFOS or anything that breaks down to these so-called “long-chain chemicals” (named after their 8-carbon chain backbone) in food packaging. But the agency still allows over 90 fluorinated chemicals in food-contact paper. And manufacturers are switching to “short-chain” varieties that researchers haven’t had a chance to study yet, Schaider says. That’s why Arlene Blum, who directs the Green Science Policy Institute and contributed to the study, advocates replacing the whole class of highly fluorinated chemicals. None of these chemicals break down, and even though the short-chain varieties don’t stay as long in the body, they’re harder to remove from drinking water, she says.